For instance, large-scale instruments like NASA's Stratoscopheric Observatory for Infrared Astronomy – the "flying telescope" – have to stop operations. Eventually bringing such instrumentation back up to speed requires over a week. If the shutdown lingers, contingency funds provided to maintain large-scale instruments supported by agencies including NASA, the National Oceanic and Atmospheric Administration and the National Science Foundation will run out and operations will cease, adding to the list of closed facilities. When I headed NSF's Division of Chemistry from March 2016 to July 2018, I experienced firsthand two shutdowns like the one the country is weathering now. The 1,800 NSF staff would be sent home, without access to email and without even the option to work voluntarily, until eventually an end to the shutdown was negotiated. As we were unsure how long the shutdowns would run, a lot of time was spent developing contingency plans – and coordinating with many hundreds of researchers about them. Concerns about what will happen to researchers' day-to-day projects are compounded by apprehension about interruptions to long-term funding. 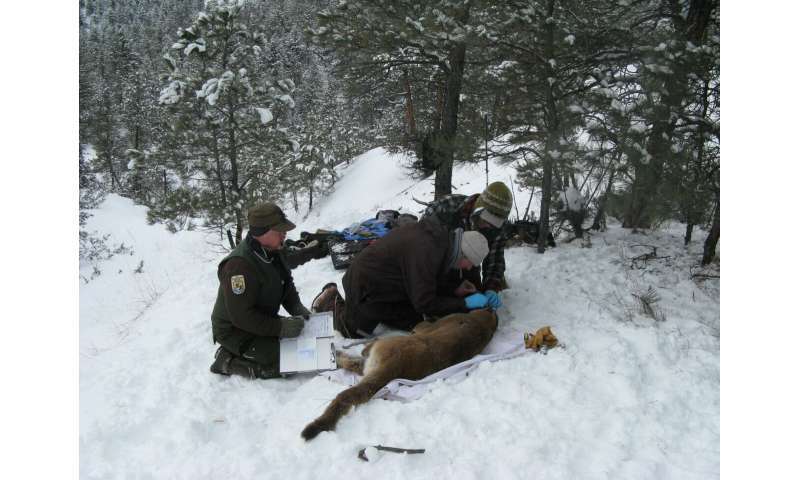 Many federal agencies perform science. The Centers for Disease Control and Prevention and the National Institutes of Health are less affected by the shutdown this time since they already have their budgets for fiscal year 2019. But agencies including the NSF, the Fish and Wildlife Service, the National Parks Service, the U.S. Geological Survey, the Environmental Protection Agency, the National Institute of Standards and Technology and NOAA have had to stop most work. In some sensitive areas involving plants, animals, earth or space phenomena that are cyclical or seasonal, scientists may miss critical windows for research. If something happens only once a year and the moment is now – such as the pollination window for some drought-resistant plants – a researcher will miss out and must wait another year. Other data sets have long records of measurements that are taken daily or at other defined times. Now they'll have holes in their data because federal workers can't do their jobs during a shutdown. Databases go dark. Many scientists and engineers across the country – indeed, across the globe – rely on the information in these databases, such as those offered by NIST, which is part of the Department of Commerce. When data can't be accessed, projects are delayed. Vital scientific meetings such as that of the American Meteorological Society and the American Astronomical Society which are heavily reliant upon the expertise of federal scientists have been affected by the shutdown, too. Federal scientists from the closed agencies cannot travel to conferences to learn about the most recent work in the fields, nor share their own findings. And of course, federal scientists serve as journal editors, reviewers and collaborators on research projects. Their inability to work has an impact across the scientific community in moving science and technology forward for our nation. Without a doubt, the government shutdown will delay, cancel or compress implementation timelines of initiatives to help drive development of new science and tech in the United States. This affects both U.S. research progress and the American STEM workforce. Missed (or delayed) opportunity costs are high, as some planned investments are in areas with fierce global competition and significant investments by other countries – think next-generation computers and communication – which are critical to the country's national security. The shutdown is not some long vacation. The amount of work that must be done at federal agencies isn't reduced. In fact, while the employees are away, the work continues to build up. For some divisions at the NSF, where I worked, the early part of the year is the peak period in terms of workload. Scientists submit around 40,000 research proposals annually, hoping to secure funding for their projects. The longer the shutdown, the more intense the workload will be once the government reopens, since decisions about the support of research still need to occur during the current fiscal year. Decisions – and projects – will be delayed. 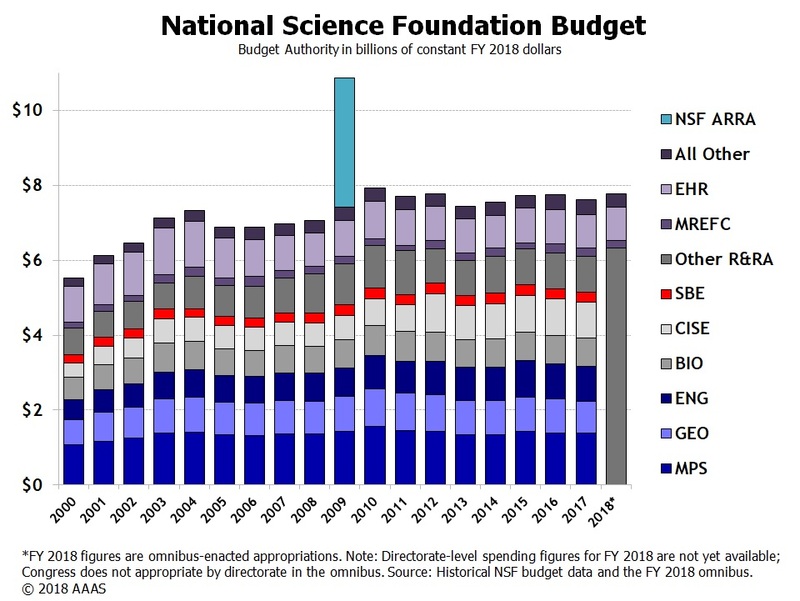 It is important to note that the government shutdown is exacerbating the effect of mostly flat budgets (with the exception of the 2009 stimulus) that many federally funded scientific agencies have been dealing with for more than a decade. Prior to the shutdown, contingencies were made to ensure that some of the scientific facilities have spending authority for at least a month or so of operations. But, if the shutdown continues, furloughs of facility staff may become necessary if the limits of obligated funding are reached. And, with all of these negatives, for all of the agencies that are shut down, the biggest question is what will happen to their budgets. Here we are, four months into the fiscal year, and agencies do not know what will happen to them for what remains of FY 2019. It is difficult to plan, it is difficult to continue to function and it affects STEM workforce morale, retention and ability to attract quality personnel into vitally important scientific roles. Now that we're facing the longest government shutdown to date, national security, health and the economy continue to be jeopardized by STEM research that's been slowed or stopped. Dangerous title... the many enemies of knowledge in the USA could realize that they can actually stop knowlege and bring ignorance for all. The anti intellectual movement in the USA is as strong as the NRA.